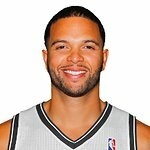 Deron Williams is an NBA basketball player with the Brooklyn Nets. 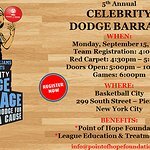 The Point of Hope Foundation, a non-profit organization, is a Deron Williams Foundation dedicated to improving the quality of life of children and their families. Proceeds from all events support Point of Hope programs dedicated to helping people in need. Google trends for "Deron Williams"
We don't have any videos related to Deron Williams.